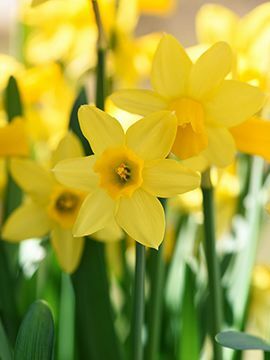 Get daffy at the 6th Annual Newport Daffodil Days Festival, April 13th - April 21st. This annual celebration marks the success of the Daffodillion campaign which recently reached its goal of planting 1,000,000 daffodils throughout Newport. During this nine day festival, special events are planned included the Newport Rhode Races, Daffy Doggie Paw-rade, Daddy Delirium at The Chanler, Driving Miss Daffodil Classic Car Parade, Daffodil Garden Party and Daffy Trolley Tours.